Play time should be a time of interacting, imagining, creating, pretending, and so on! So many children are glued to screens and I am guilty of letting my kids play on the iPad when I have work to get done and can’t take them outside or play with them right at that moment. I am going to share some ways to get your kids outside and playing! 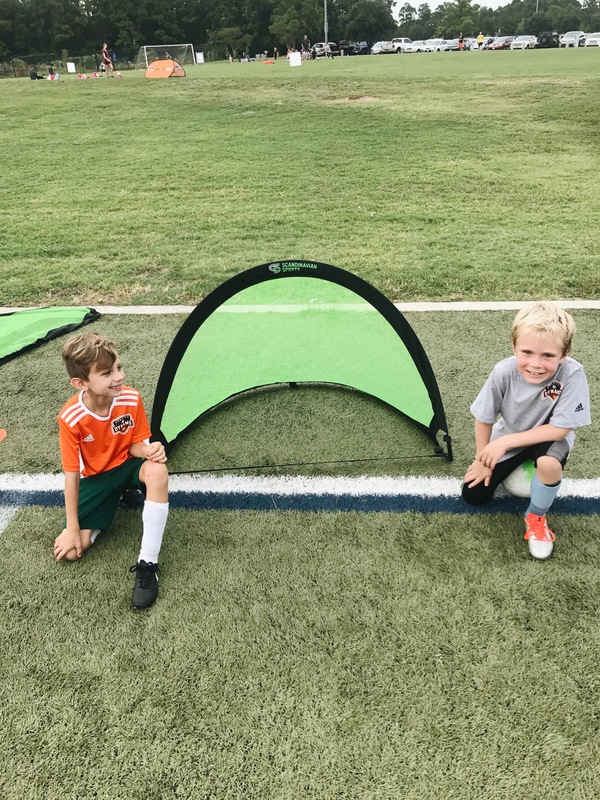 Getting your kids to play shouldn’t be hard… especially when you offer something that they really want to do! After Ainsley gets home from school she automatically asks for the purple juice ! This brand new product has a great taste and of 100% juice, with all the added benefits of coconut water and 30% less sugar. 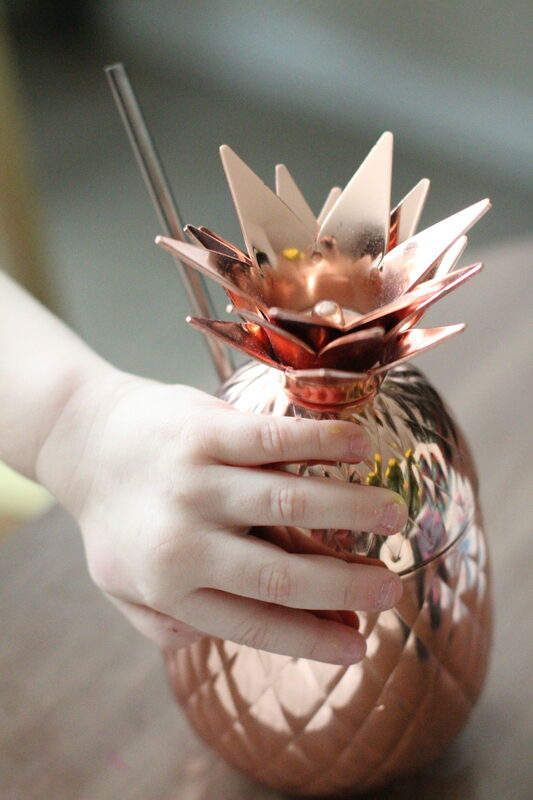 Your kids will love it and moms and dads will too! Give it a try! Head to your nearest Walmart to see the different flavors! 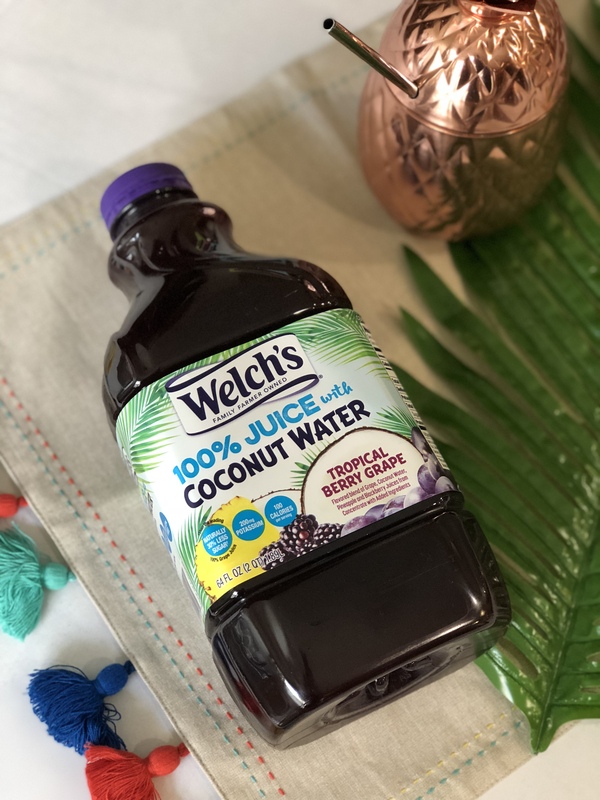 This purple juice is from Welch’s and it’s their 100% juice with added coconut water! 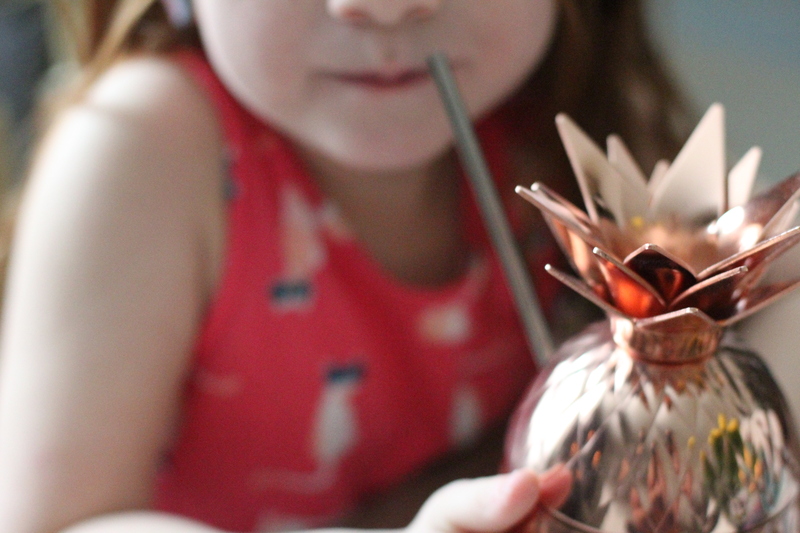 It’s really good and she always wants it in her pineapple cup! 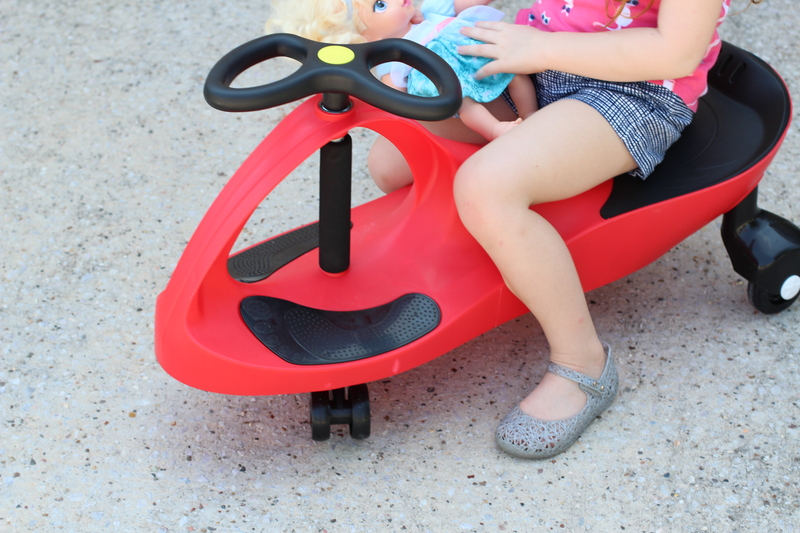 Go outside with them and provide them with a toy to ride on like the one below! After she’s had her juice she heads outside to ride on her plasma car! She get’s plenty of exercise on this adorable ride on toy! 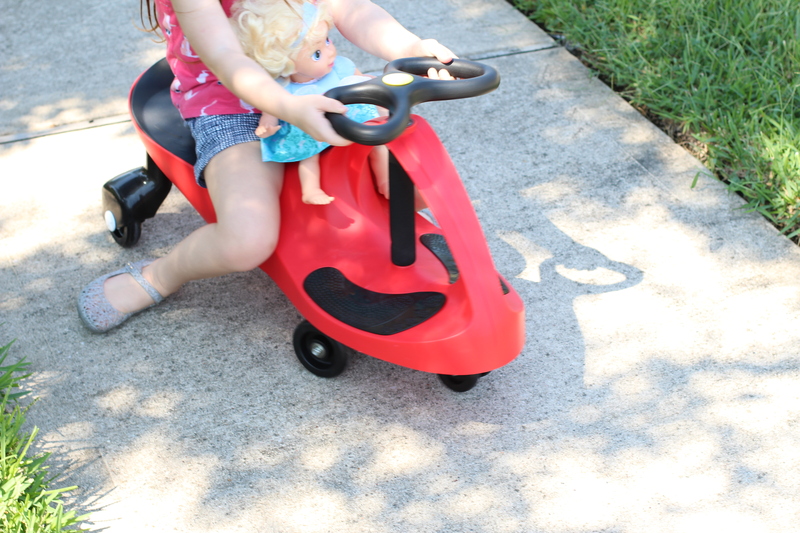 She is able to use her lets to make her go and turns with the steering wheel! It’s the perfect toy for endless fun! Ainsley and Oakland always race with them and make obstacle courses! Another great way to get your kids to play (outside) is to make a game out of it! Oakland recently got these pop up soccer goals and we have family soccer games in the backyard! Jerod also takes them to soccer practice! He’s coaching Oak’s team this year and these are perfect for practice! Go outside as a family! If you’re outside chances are they will want to be too! Natural Ways to Ease Baby Gas Pain! What I’ve learned from having 2 girls. What a fun way to get them excited about playing outdoors. We love activities to enjoy out of the house, to get them moving. 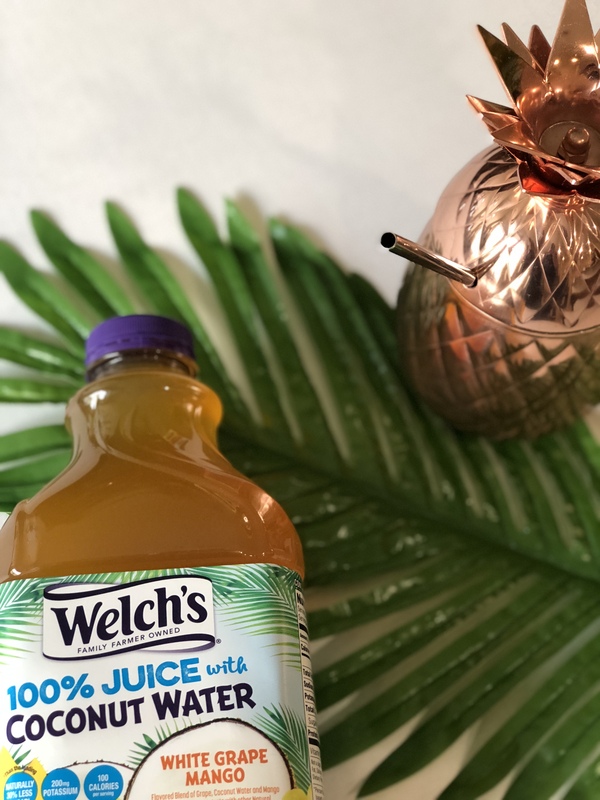 I need to try this new Welch’s juice with coconut water and that pineapple cup super adorable.